Just before Hugo Barra announced he was leaving the company, he and Xiaomi on Thursday introduced its latest phablet, the Redmi Note 4, in India. The design of the smartphone resembles that of the Chinese version, but the internal architecture has changed. Instead of the MediaTek Helio X20 SoC, the Indian version of the Redmi Note 4 uses Qualcomm’s Snapdragon 625, which is a shift from a tri-cluster 10-core A72/A53/A53 design to a full A53/A53 eight-core SoC. Meanwhile, despite the hardware switch, the concept of the device has not changed: the high-end flagship phone will retail at price-points below $200. 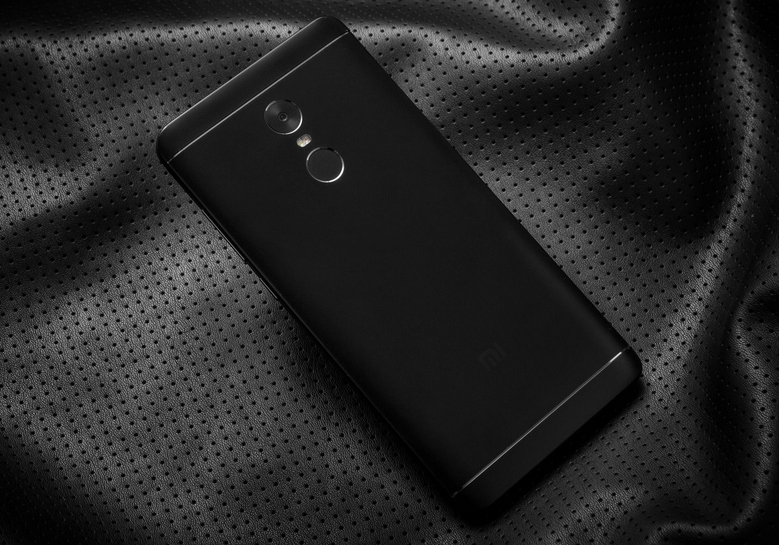 Hugo Barra, former chief marketing officer of Xiaomi, published specs and prices of the Redmi Note 4 phablet that will be available in India. The company has changed a lot about the device both inside and outside, possibly because the newcomer will eventually be available globally and thus will have different competitors than it does in China. In general, the new Xiaomi Redmi Note 4 remained the same: it is a 5.5” smartphone that comes in a metallic unibody chassis with rounded edges and antenna separated from the rest of the back cover using polycarbonate strips. 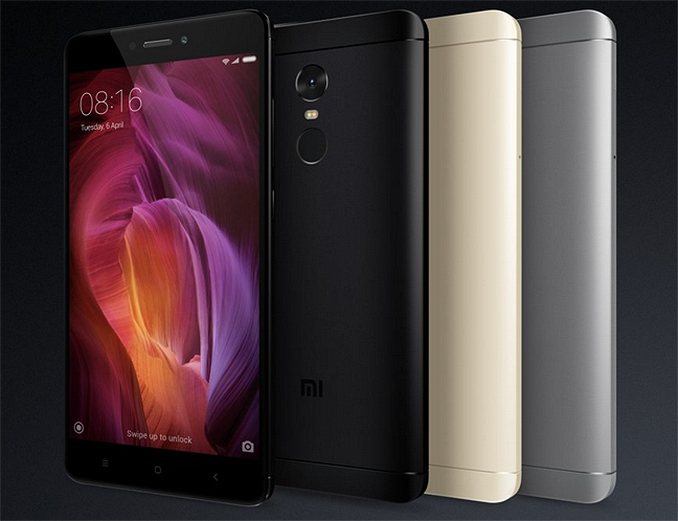 The new Redmi Note 4 lineup will include matte black, matte gold and matte gray smartphones. When Xiaomi introduced the Redmi Note 4 in China several months ago, the company used Mediatek's deca-core Helio X20 in a market where core-count can matter at this price-point (as in, it affects buying decisions). For the new version, Xiaomi uses a Qualcomm Snapdragon 625 SoC that features fewer general-purpose cores, has a single-channel memory controller and a modem with more bands. More importantly, the chip is made using Samsung’s 14LPP (14 nm FinFET, low-power plus) manufacturing technology and presumably has generally lower power consumption when compared to the Helio X20 made using TSMC’s CLN20SOC (20nm planar) fabrication process. In any case, Xiaomi says that the Redmi Note 4 with its 4100 mAh battery lasts 25% longer when compared to its predecessor (the Redmi Note 3 with a 4050 mAh battery), an indicator that the new unit uses components with lower power consumption. On the other hand, the Xiaomi Redmi Note 3 Pro is powered by the Snapdragon 650 that features two high-performance ARM Cortex-A72 cores as well as four low-power ARM Cortex-A53 cores, compared to the quad A53+quad A53 of the Snapdragon 625 in the Redmi Note 4. The octa-core A53 configuration will result in lower performance for this version of the Redmi Note 4 compared to the Helio X20 version and the older Redmi Note 3 Pro, especially for bursty workloads like web browsing. In the last generation of mid-range smartphones, a number of companies were happy to take a 'hex' core design: big.Little using dual A72 and quad A53. This allowed the SoC to offer good peak performance, using some of the highest performing cores available at a high frequency, and move to the small cluster when in power saving mode. However, these designs were on 28nm - a popular but not leading edge process node. So far this year we've seen a number of devices announced that are ditching the pair of A72 cores for another set of quad A53 cores, on SoCs built on a 14nm node. The performance of the cores doesn't change with process node, but the power consumption does: using a 14nm S625 over a 28nm S650 means that battery life is up and up (on all else being comparable) however peak performance is generally down. The interesting intersection is if they compute the same amount of work and how much power is required: it is generally considered that a 14nm S625 still wins that one as well. This is despite the fact that the chip probably costs more, by virtue of the 14nm process. It would seem that vendors are willing to take the hit on price and performance in exchange for battery life (other devices announced include the honor 6X, Huawei Nova/Plus and the ASUS Zenfone 3 Zoom). Another downside of these S625 devices seems to be that some don't support 802.11ac. NB! Based on the S625 features. Actual capabilities may be different. 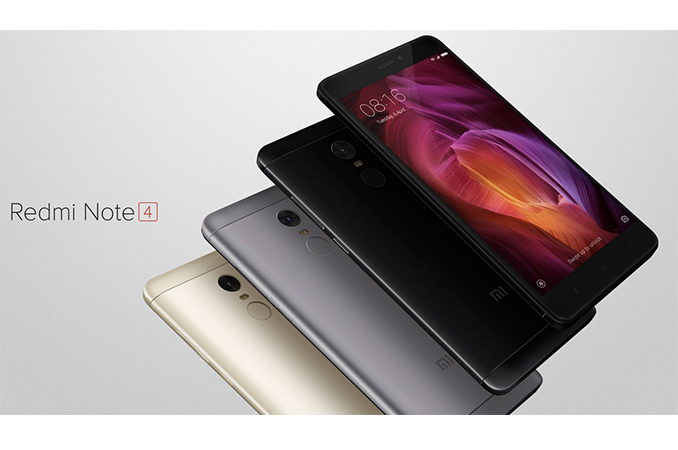 The Redmi Note 4 phone has a 5.5-inch FHD IPS display covered with 2.5D Gorilla Glass for protection. The Chinese version of the Redmi Note 4 claimed to have a maximum brightness of 450 nits, a contrast ratio of 1000:1, 72% NTSC color gamut as well as a special technology that improves visibility of the display outdoors, but we do not know whether the Indian version has the very same display panel too. As for imaging capabilities, the Xiaomi Redmi Note 4 uses a 13 MP sensor with f/2.0 aperture, PDAF and a dual LED flash on the back as well as a 5 MP sensor with f/2.0 aperture on the front. Audio features of the Xiaomi RN4 include built-in speakers as well as 3.5-mm TRRS audio jack on top. Meanwhile, for local connectivity, the phone features 802.11n Wi-Fi, Bluetooth 4.1 and a microUSB port. Now, while we understand that the Snapdragon 625 supports LTE, WCDMA, CDMA and GSM, but so far, Xiaomi has not announced specific bands for the Redmi Note 4 smartphone. In the best-case scenario, the handset supports everything the SoC does, but the manufacturer has not confirmed that yet. The Xiaomi Redmi Note 4 uses Google’s Android 7 with various enhancements by Xiaomi, including new security features of the MIUI 8 designed to simplify usage of the fingerprint scanner. The Xiaomi Redmi Note 4 was up for sale in India as of the 23rd January. For the prices, they will vary from Rs. 9,999 ($146) for the entry-level 2 GB/32 GB model to Rs. 12,999 ($190) for the high-end 4 GB/64 GB SKU. "which is a shift from a tri-cluster 10-core A72/A53/A53 design to a full A53/A53 eight-core SoC. " The RN3 in India never had Mediatek's Helio X10 or whatever, it was launched with SD650 but the RN$ is a definite downgrade for more than one reason. The GPU is barely half as good as the RN3 variant, that they've still gone ahead with the full HD screen makes it less of an option for someone like me, who owns the SD650 Indian variant of RN3. The 625 in my moto z play works well. It is about as fast as my SD800 in my nexus 5 from 2013. which is more then enough. As long as you dont have some heavy OEM skin, arm chips have gotten silly overpowered for phones. So the Snapdragon Note 3 has substantially more powerful hardware than India's Note 4.